However, there are actual differences between organics and conventional food. There are also some significant, and very real reasons, why organics can be expensive. Here are the top 10 reasons organic food costs more. Much of organic pricing can be attributed to time issues. Time is money after all, and organic growers spend a lot more time on their crops than conventional growers. The Organic Farming Research Foundation notes that: "The organic price tag more closely reflects the true cost of growing the food [including] substituting labor and intensive management for chemicals, growing, harvesting, transportation, and storage." Because organic growers don't use the same amounts of harmful pesticides on their crops, they have to look for other, often manual methods of controlling pests and diseases. These methods keep pesticides out of people and the environment, but they do cost more. There's also ongoing education for organic growers, the certification process, paperwork, inspections, planning and more that are factored into the organic grower's schedule. Organic foods derived from animals cost more than their conventional counterparts for the same reasons. There is more hands-on care required for organic livestock. All this costs money, of course. Organic certification, as noted above, is time-consuming, but it's also flat out expensive for many growers and handlers. Not only are first-time certification costs steep, averaging around $700 to $1,200 per operation, but there are other certification costs involved as well. Some of the major certification costs include renewal certification costs, education, suitable organic land, livestock from organic origins, organic seed, and special processing equipment. From growers to processors, most organic certified operations need special land and/or facilities before they can produce food. Organic land costs much more than conventional farmland because there's a long list of qualities that organic land must possess. This applies to organic land used for crops or livestock. On top of land issues, many organic operations are so small that they don't warrant a full-scope manufacturing facility of their own, which means either locating an organic operation with which they can share space or purchasing special equipment for a conventional facility. If an organic company shares space with a conventional company, more time must be spent making sure that products aren't mixed, or if they are mixed, that processing machines are properly cleaned before they're used for organics. When it comes to organic skills, most business owners spend a significant amount of time and money on ongoing education costs. Many organic farmers and other organic business owners now spend time and money getting degrees in a related field. Plus, since the organic knowledge landscape is always changing (as is organic policy), keeping up to date is an important but often costly expense. Beyond self-education, organic business owners or companies must take the time to ensure that their employees also follow proper organic protocol. 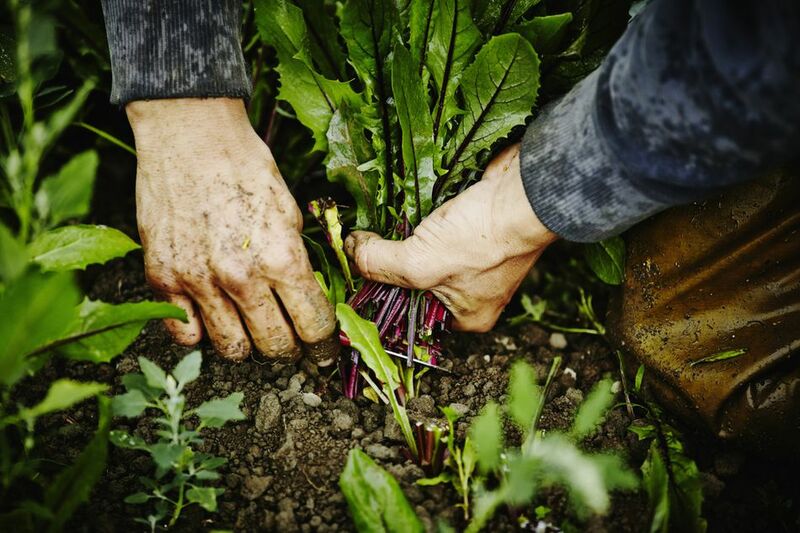 There's a lot of different skill-sets involved with organic production and handling practices, and employees must use organic practices in order for an operation to stay certified. A majority of organic farms are smaller than their conventional counterparts. Small farms don't receive the same benefits from the economies of scale that large operations do. Additionally, it costs quite a bit more to grow and process small quantities of organic food, as opposed to large quantities. On top of added costs to process small amounts of food, it costs more to ship these items: National Organic Program (NOP) policy specifically mandates that you must segregate organic food items from conventional food items. With few exceptions, marketing a business effectively takes a significant amount of money and time. However, while large companies often have set marketing budgets and people who do the marketing work for them, smaller operations often do marketing on their own and on a very low budget, which can take some considerable creativity. Small companies with or without budgets still have to pay for consumer education, print ads, business websites and more. Organic food producers don't use the same readily available cheap additives, flavors, and preservatives as conventional food producers do. There's a long list of known harmful ingredients not allowed in organic food. This means organic producers must find other, less harmful but often less available and more expensive ingredients instead. It obviously costs less to use synthetic food items, so conventional food companies get a real financial break that organic companies don't. Food prices are often influenced by subsidies, and conventional, junk-minded food is subsidized far more often than organics and healthier crops. Back in 2008, the House Appropriations Committee found that spending on farm subsidies totaled $7.5 billion annually, while just $15 million was given to organic and local food programs combined. In most cases, subsidies are very specifically geared towards large-scale agribusiness operations, not smaller or even mid-sized organic farms. When a crop does receive a subsidy it lowers the cost consumers must pay for the end food item. Since conventional food gets the bulk of subsidies, organic prices seem higher than they are because conventional food prices are way lower than they should be. In fact, Apples to Twinkies, a report by California Public Interest Research Group (CALPIRG), notes that between 1995 and 2010, American taxpayers spent over $260 billion in agricultural subsidies, with most of these subsidies given to the largest farming operations in the United States. Worse, most subsidies were used to finance commodity crops such as corn and soybeans that are often processed into food additives like high fructose corn syrup and vegetable oil and then used in junk food. Economies of scale in consumer terms means the more you buy, the more a company will produce, and the more you produce, the lower prices will fall. Supply and demand is a huge issue. Though organics are gaining popularity each year, organic food sales are nowhere near conventional food sales. If more consumers bought organics, there would be more demand, enabling organic operations to scale up. That, in turn, would lower costs. But when consumers flock to cheap, toxic food, that's what companies want to produce. You can see the impact that consumers have had over organic food, even in just the last decade. It used to be you couldn't even find decently priced basic organic foods like rice, apples, juice or milk. Now, because supply has gone up significantly, it's a snap to find affordable versions of all of these foods, and many other organic basics as well. When even more consumers demand organic food, companies will deliver, and they'll deliver for lower prices than you're seeing now. At first glance, organic food appears to be more expensive than conventional. But consider that a very large piece of the story is missing, at least where the public is concerned. There's a lot of evidence that shows we do pay more for conventional food, it's just harder to see because we pay these costs indirectly. Current conventional food costs fail to reflect some key points. For example, the cost of conventional food doesn't reflect the costs to the environment such as land, soil and water pollution. We pay for these costs through our tax dollars, not through our food budget. Conventional food production also costs more for pesticide manufacturing and disposal. Pesticides, a known health risk, are abundant in conventional food, so when we eat pesticide-filled foods, we rack up bigger bills for medical expenses as well. Lastly, organics provide better animal welfare, promote rural development and help increase jobs — issues at which the conventional food production system fails miserably. It's disheartening when you see a cheap jar of conventional peanut butter or bag of conventional apples sitting right next to their higher-priced organic versions, but once you look at the whole story, it's easy to see that organic food offer benefits and long-term money savings that conventional food never will.